Head to Coyoacan and Polancofor some retail therapy. Step off the beaten path and head to Tepozteco and Archaeological Zone of Xochicalco. Explore Mexico City's surroundings by going to Robert Brady Museum (in Cuernavaca), Zona Arqueologica Teotihuacan (in San Juan Teotihuacan) and Tula (in Tula de Allende). There's much more to do: take a stroll through La Condesa, appreciate the extensive heritage of Zocalo, contemplate the long history of Chapultepec Castle, and see the interesting displays at National Museum of Anthropology (Museo Nacional de Antropologia). For more things to do, traveler tips, photos, and tourist information, use the Mexico City holiday planner. If you are flying in from United States, the closest major airports are Licenciado Benito Juarez International Airport, Licenciado Adolfo Lopez Mateos International Airport and Querétaro Intercontinental Airport. 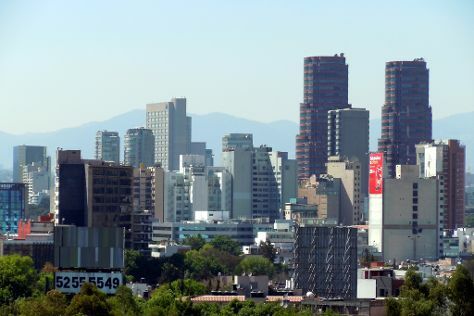 In September in Mexico City, expect temperatures between 74°F during the day and 57°F at night. Finish up your sightseeing early on the 29th (Fri) so you can travel back home.